The devastation from Hurricane Irene was incredible, but so were the heart opening miracles that came with that storm. One story came though the big, old, slow St. Bernard who hangs out every day at a general store down Route 106, not far from us. During the storm, this dog walked near the edge of a deep ravine where the heavy storms waters raged in the river below. His owners saw their beloved dog slip off that edge and fall 80 feet below into the roiling waters filled with felled trees, cars, trucks, and all the debris being carried off by the terrible storm. Their hearts were broken. There was absolutely nothing they could do. To everybody's amazement, two days later their wonderful old dog found his way back the many miles and with tail wagging, walked up to their front door. Anything is possible. While we were selling our aprons at a local Christmas Craft Fair, a woman from Waterbury, Vermont approached our table and saw our sign explaining that we are donating a portion of the sale of all our apple aprons to the Vermont Flood Relief Effort ( see October 9). She started to tear up. She said she is one of those people who is being helped by that fund. Her home was devastated by Tropical Storm Irene. It was unlivable. Over the last months she has had so many people, from contractors to electricians, many complete strangers, who have reached out and offered help, worked on her house and given time and money. She didn't know what she would have done without that help. With tears on her face, she said she was so happy to be able to thank us for being part of that Vermont Flood Relief Effort. 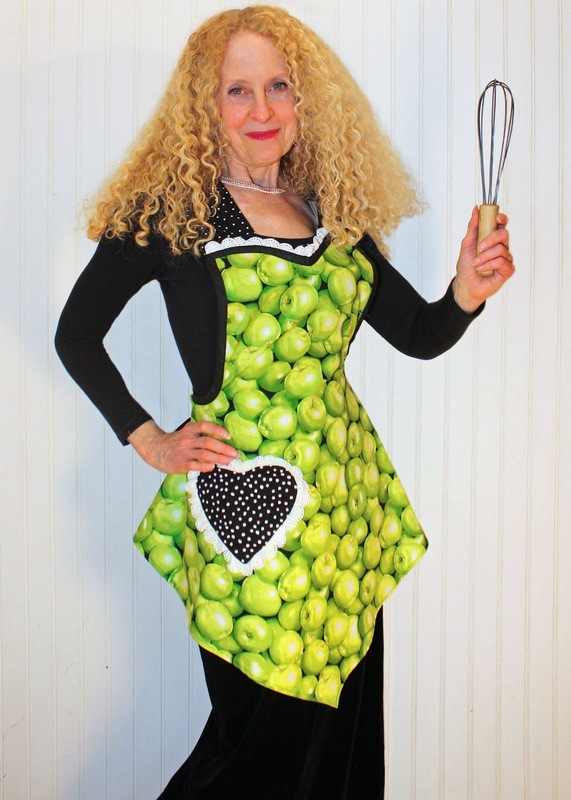 We want to pass on a special thank you to all those who have purchased our apple aprons and supported our Vermont Flood Relief effort. (We've learned that many of you are especially partial to green apples.) We are so pleased with the response that we are continuing our donation into 2012. 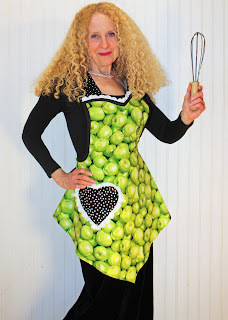 This is a pretty apron, I wouldn't mind having one like that:) Nice pics too!